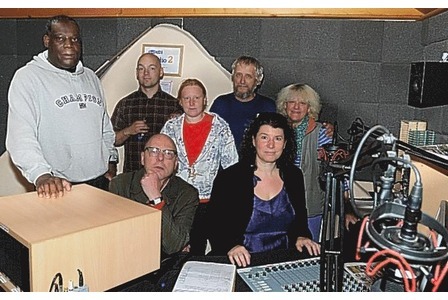 Sad news today – I heard that Stroud FM had ceased broadcasting due to a funding gap of £8,000. The station launched it’s full time 107.9 FM schedule in 2008. Since 2002, when the then Radio Authority licensed 15 so-called “Access Radio” stations, community radio has gone from strength to strength offering people in the local areas where they broadcast – something different to listen to – or not. They offer choice. It is this diversity of programming and choice that is on offer which make these community radio stations a rich addition to the often glossy but mundane non-stop, music pop; non-repeat, but all the same beat; non-interesting, ear blistering; 10 dull songs in a row groan-some guarantee. I’m not saying there is not a place for glossy radio. However, if I wanted to listen to non-stop music – I’d use iTunes. When I need access to news – I don’t wait until the top of the hour – I go to the internet. In fact, my iphone often reminds me how little texts I get by annoyingly beeping me news flashes – with my initial thought – wow someone’s texted me. Any radio station is only as good as the content it pumps out – the stuff they do between the songs. The great thing about community radio is that they genuinely try and fill the content gap between the glossy 10 in a row and make programmes that are that bit more local and a bit more unpolished. From the local business to the zlist celebrity doing a one man/woman show in town – the beauty of community radio is in the voices that wouldn’t otherwise be heard. And yes, it’s ok to get angry at the radio/radio presenter for what they say/don’t say. That’s how we engage. I visited Nottingham in January for a couple of days with my partner and we ended up in Manchester – at the weirdly opulent (money was sloshing around) Trafford Centre. The one thing I noticed most when travelling? That the radio stations I often landed on, and stuck with (range permitting), turned out to be community radio stations. Of course, you can rightly point out that if that was the one thing that stuck out most on my journey – I should get a bloody life and my partner should get another boyfriend. With that, I cannot argue. So, it is sad that another community radio station has hit the buffers and sank in the often choppy and vastly overwhelming funding ocean. Ofcom is often good at initially supporting community radio stations – but most find that support dries up quicker than a free bar at a Scottish wedding – giving all an equal headache. It’s pleasing to learn that the Department for Culture, Media and Sport have started their community radio consultation to relax the current financial restrictions on community radio – and other things too. Let’s hope that something good comes from the DCMS consultation and that it offers greater support to local radio stations that might be small in size when compared to their commercial counterparts – but punch well above their weight in ambition. Whether or not the relaxing of finance rules would have saved stations like Stroud FM – I simply can’t judge. I’ll leave it to station director Richard Joyce to give some insight into what led Stroud to do the one thing that sends a shudder down the spine of all radio station owners/managers – switching off the transmitter.